David Diamond has released another book titled: Metadata For Content Management as a follow-up from DAM Survival Guide. 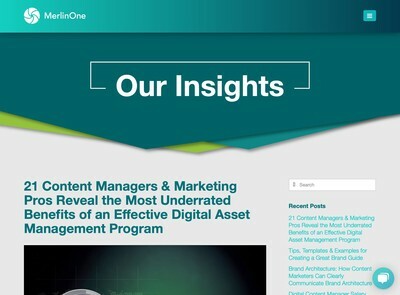 The new publication does not specifically refer to Digital Asset Management because David says he wants the topics discussed to be relevant to all types of system that mange content (i.e. it has a wider frame of reference than just DAM). The book certainly will have considerable relevance for anyone who has an interest in our subject, however and he does say it could be read as a follow-up to DAM Survival Guide. David kindly sent me a free review copy and I have been reading through it for the last couple of weeks. It certainly is impressive and well overdue that someone wrote about this area in a more accessible manner than it generally has been hitherto. Metadata is the business end of DAM if you are an end user and one way or another, it will set the agenda for most of your decision-making about the direction of a content repository. Many other vendor representatives who write about DAM are eager to discuss all kinds of other technology-centric subjects, because although they might claim they have an interest in managing digital assets, I get the sense that they don’t actually care for it a great deal themselves. 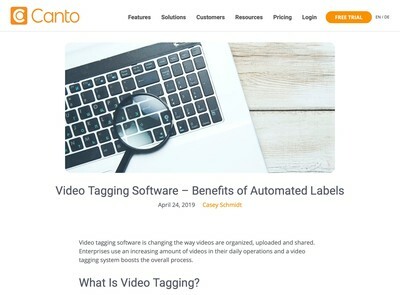 Most end users, however, soon grasp that metadata that is critical to the implementation of a successful Digital Asset Management strategy because otherwise you lack a framework for your decision-making processes. As has been mentioned, a lot on DAM News many times before, metadata is what appreciates the value of binary data to transform it into digital assets. If the relevant metadata doesn’t exist, neither does the asset. This is why anyone does Digital Asset Management in the first place and explains why this book is highly relevant. The title itself covers the whole process of metadata realisation, from strategy through to design of schema and implementation of them into your content tool of choice. Most of key issues you will encounter are addressed, including process or event-oriented metadata like workflow. There is a section at the end of the book on future developments in metadata, like linked data and the ability to define semantic relationships between entities. For those with limited experience of taxonomy and metadata design, there are some great tutorial chapters that illustrate the key topics. An issue with a lot of more conventional taxonomy and information science literature is that is highly academic in nature. For those who have (or are studying for) MLIS qualifications and similar this isn’t a problem. 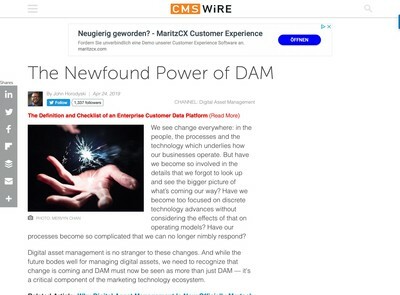 Many users of content systems like DAM solutions, however, may lack these kind of resources or time available for them to get to grips with it themselves. Those people seem to be one of the larger audience segments that this is book is targeted at. The explanations David offers are some of the easiest to understand that I have read about metadata and information architecture. They make the concepts accessible to those who would not define themselves as experts in it. This is not just useful for people who have to realise DAM initiatives, but also for those who have to explain the necessity for metadata to get taken seriously by colleagues and senior managers. This issue is quite common and seems to crop up a lot when DAM users talk about the organisational and adoption issues they encounter. While there is plenty of ‘in-principle’ agreement about metadata, DAM and information architecture, the positive sentiment tends to evaporate when you need to get down to brass tacks and make something happen. This book might provide some people facing those issues with more easily digestible arguments and a business case for getting it taken more seriously. If there is a criticism to make of this title it is (ironically enough) the lack of references which might provide some context to the advice offered. I also wanted to see some further resources where I can find out more, as well external evidence to support David’s assertions. I do not disagree with his advice and instruction, but you need to have some basis to believe him (other than some random person on a DAM-related blog telling you that the material presented is worth paying attention to). References are integral requirements for academic texts and although David notes he isn’t from that background in the introduction, acknowledgement of sources is useful for the reader to gain perspective on why a given point is being made so they have some leads to research more if they want to. I should point out this is a deficiency I could be accused of myself as well and it is an area that I need to work on too. In mitigation, if your professional experience has been acquired in a commercial rather than academic context, the people you work with (and answer to) don’t tend to care very much where you got the idea for a given course of action. Judgement is made nearly entirely on how effective it was (or was not). Based on material about DAM-related subjects I have read over the years, some individuals and companies operating within our industry quite blatantly copy ideas (and sometimes entire sections of text) without any intention of giving credit to whoever’s work they have just pillaged. That is not the situation in this case, the book just needs some more contextual references and follow-up material for those readers who want to know more. If there is a second edition, this would be the main area I would work on. There is an online web resource for this book (as with DAM Survival Guide) and this might be a method to get something started along those lines in the interim. Despite my previous point, I do not wish to detract away from my praise of Metadata For Content Management. This certainly is not re-heated material that has been cribbed from others. It is obviously all David’s own work and a subject he cares about (a lot). The advice is excellent and is presented in a highly readable style. I can fully recommend buying a copy if you are involved with content repositories of all descriptions, including those involving digital assets. 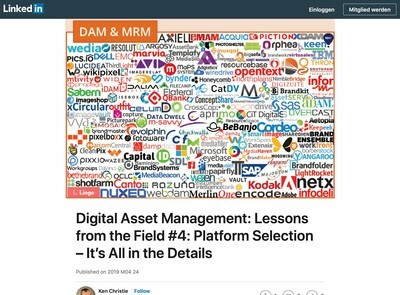 Updated Edition Of "Digital Asset Management: Content Architectures, Project Management, and Creating Order Out of Media Chaos"
Thank you, Ralph! I really appreciate the time you took to read through the book and write this review. You are correct that I’m not big on references or citing external case studies. I realize this is appreciated by some; but when I read, I want to read the thoughts of the author. Once I have accepted that an author interests me or appears to be trustworthy, I just want to hear the words. I once (long ago) worked with an editor who had worked for the Wall Street Journal and New York Times throughout his career. He was an older guy, and this was right around the time of the release of Mosaic 1.0. While the rest of us were going on about the potential of hyperlinking, he hated it because, he reckoned, this removed the reader from the story. “Everytime I see a link, I think I’m supposed to leave what I’m reading. And if I don’t, I worry I’m missing out,” I recall him saying. This made an impression on me. I like to try to keep the reader in a narrowly focused conversation, as if we were speaking face to face. In citing references or studies, I think authors invite the reader to question the validity of the reference, not to mention the actual expertise of the author being read. When I write, I just want to write. When reading your work, I know it’s your work and that it comes from your personal experience, not someone else’s experience that’s been reinterpreted by you. This is what makes you such a value resource to me. In contrast, when writers open with some hypothesis and then spend the rest of the article quoting others as a means of lending credibility to that hypothesis, it leaves me thinking that I’m not reading words of personal experience. This is how kids in school are taught to write reports; but I’ve long been a critique of Education in that I think it fails to teach kids how to communicate before it teaches them to write and speak. It would sadden me if you were to change the way in which you write and communicate. I don’t feel compelled to justify who I am or what I know, and I don’t think you should feel that way either. Perhaps it’s because I never want to college, so I never developed an appreciation for academic writing; but I just want to read the words of writers whom I respect and trust. Seeing a link to Wikipedia doesn’t ever make me trust anything more than my instinct to trust someone trustworthy. Previous post: What Is DAM’s Role In Social Media?